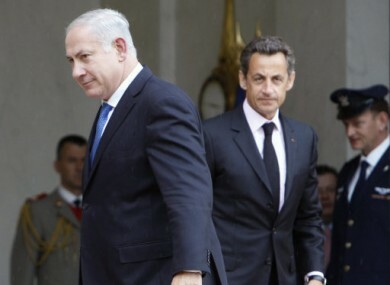 Sarkozy "called Netanyahu a liar"
The remarks were overheard by a number of journalists while they waited to watch Sarkozy and Netanyahu talk during the G20 summit. FRENCH PRESIDENT NICOLAS Sarkozy has landed himself in hot water after calling the Israeli Prime Minister a liar. The French website Arret sur Images reported that journalists overheard the remarks about Benjamin Netanyahu made by Sarkozy at the G20 summit. It reported that the comments were made while Sarkozy was discussing Netanyahu with US President Barack Obama during the summit. BBC news said that the remarks were heard by journalists at a press conference featuring the two presidents, after they plugged in their headphones into translation boxes before the event officially began. The comments have only been reported in one paper, Le Monde, in France, but it has featured in a number of Israeli newspapers, said the BBC. It is not known what impact, if any, the remarks will have on the peace process in the Middle East. Email “Sarkozy "called Netanyahu a liar"”. Feedback on “Sarkozy "called Netanyahu a liar"”.